Lines under design meet the requirements of main international standards on non-destructive testing: MIL-I 25135Е, MIL STD 6866, AMS 2644, EN 571-1 and others. All components of the line satisfy the requirements of European Standards on Safety and Ergonomics. 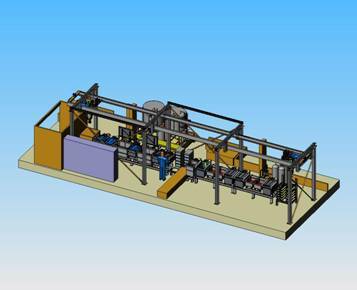 The design of lines is made of stainless steel and based on first-class components of such producers like Siemens, Rittal, Weidmiiller, Festo, Sick, Balluf etc. 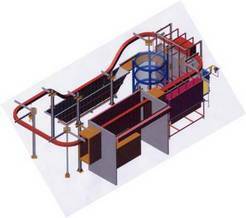 All our process lines are designed with participation of company SOLIDWORKS. The electrical engineering is developed with participation of company SEE-EXPERT, automation equipment – with participation of SIEMENS, TELEMECANIQUE or other companies. To get additional information, please, address to our specialists. Line of fluorescent post-emulsifiable penetrant inspection that includes the preliminary automatic washing.